I think, the author Jonathan Bailor has a lot of things right about how to maintain a healthy lifestyle and body and how to eat right and exercise smart to be the best you can be. He focuses less on calories, dieting or eat less exercise more, and focuses more on eating the right foods to make your body be in the best shape it can be. He talks about ‘unclogging’ your body by eating cleanly and exercising smartly. He proves why conventional wisdom is sometimes incorrect and suggests how we can move forward to lose weight and maintain the weight loss. The book on Amazon: The Smarter Science of Slim: What the actual experts have proven about weight loss, health and fitness. You can get the Kindle Version for around £6, or the book for around £22. I got the book as I like real books, but the Kindle Version is a great option. Podcasts: There are 8 episodes of the podcast so far, and they just confirm and repeat what is in the book. I think it’s really good. If you enter ‘Smarter Science of Slim’ into the iTunes store, you’ll get all of the podcasts, plus an hour long interview too which is a good listen. 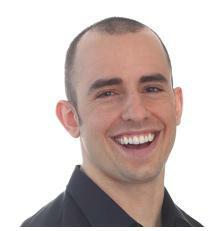 This podcast is also good: Cut the Fat Podcast: an Interview with Jonathan Bailor. (If you want to hear the best bit listen between 35 mins – 55 mins).